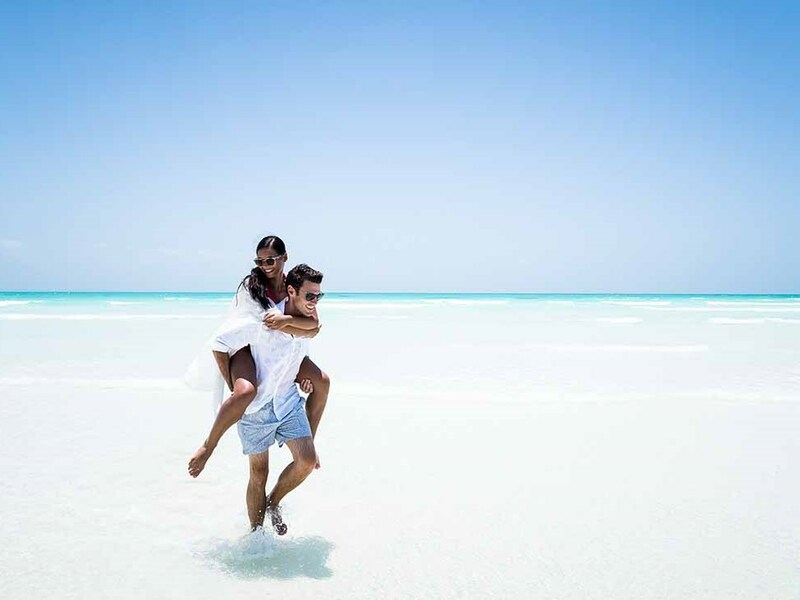 Perhaps the most stunningly beautiful island of all the gems that make up the Quirimbas Archipelago - the whitest, softest sandy beaches bordered by brilliant turquoise water make it a “sunglasses essential” zone! You’ll no doubt also love the “cuddle puddle” private plunge pools! 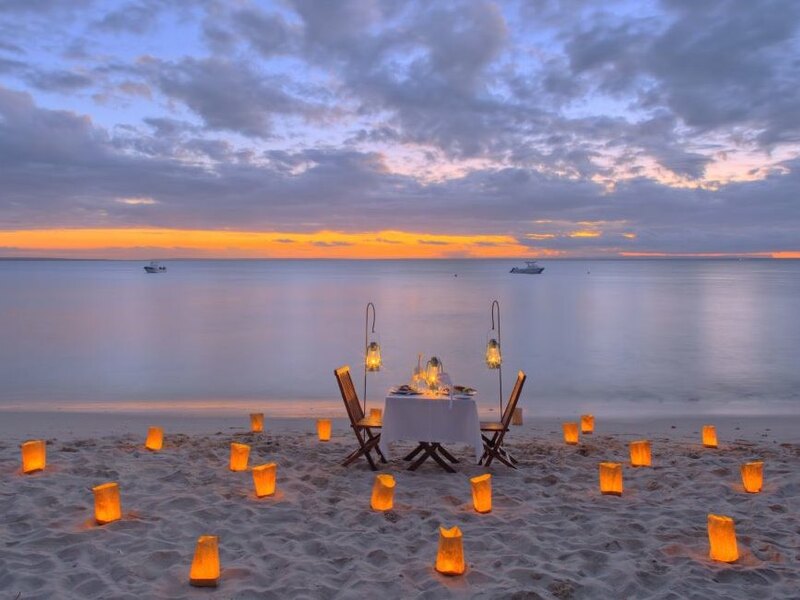 a smaller and more exclusive island lodge that also ticks pretty much all of the island paradise boxes - think breathtaking white sand beaches and sandbars fringed by an impossibly turquoise ocean! Reached by a spectacular helicopter transfer over the impossibly aquamarine waters of the Quirimbas archipelago, Anantara Medjumbe is a small and extremely exclusive island lodge that ticks pretty much all of the island paradise boxes - think breathtaking white sand beaches and sandbars fringed by a blindingly turquoise ocean! In fact Medjumbe is one of the smallest islands in the Quirimbas, a speck of land about a kilometre long and, unlike some of the larger islands in the archipelago, there is no local village. At low tide the receding waters reveal a magnificent sandbar jutting out like a gorgeous white needle from the island into the sea – it all adds up to some of the most stunning and pristine beaches you’re ever going to encounter! 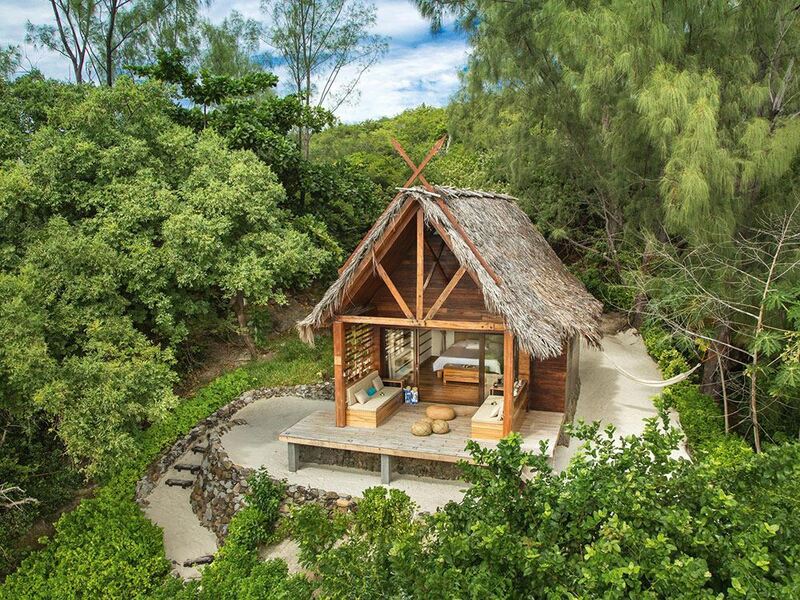 The lodge consists of just 12 chalets and they’ve also added charming tiny plunge pools to each which the lodge likes to refer to as “cuddle puddles!” Add to this the fact that kids under 12 aren’t allowed on the island and you get the perfect recipe for honeymoon/couples bliss! Inside, the chalets boast attractively painted wooden walls, polished wooden floors and a décor style that’s an interesting cross between Beach House chic and more exotic Moroccan accents – they also come with all the various mod-cons more typically associated with larger luxury resorts in more commercial destinations like Mauritius, such as satellite TV’s, air-conditioning and mini-bars. It all adds up to a very comfortable place to relax in paradise even if it has a somehow less authentic feel than the rooms at competitors like Azura Quilalea or andBeyond Benguerra for example. Apart from the plunge pools, another feature we especially like are the private outdoor showers whilst the outdoor hammocks on the verandas are the perfect place to chill out with a book or just gaze out over the ocean. 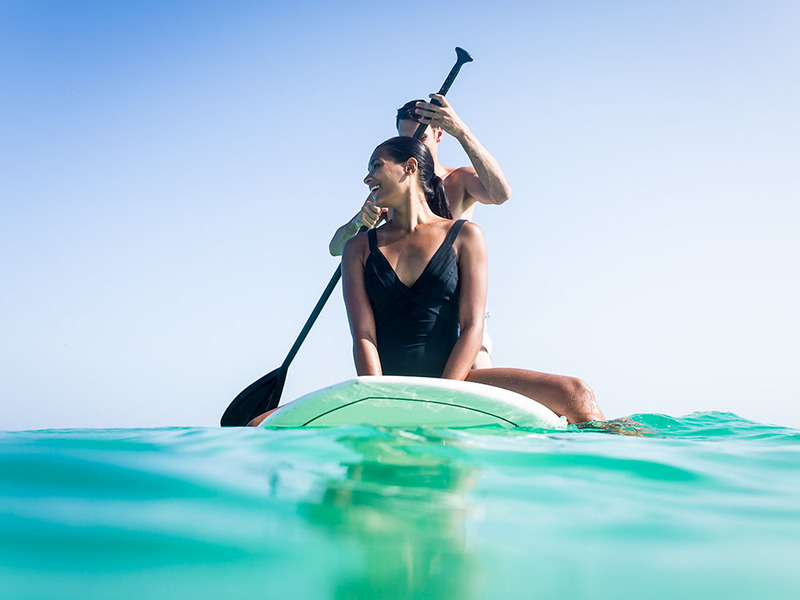 Whilst the tiny island is home to some stunning stretches of beach, it is the waters beyond that are the real jewel in the crown here, with a feast of different watersports including sensational scuba diving and deep sea fishing on offer. The Quirimbas boast some of the healthiest and richest coral reefs in the world which have largely escaped the coral bleaching events of recent years, so keen diving enthusiasts and casual snorkelers alike are in for a treat! The waters around the island also abound in big game fish so spoil yourself with a half day’s adventure pursuing Yellowfin Tuna, Sailfish, Dorado and the incomparable Giant Trevalley. You could choose to propel yourself around the waters doing such sports as kayaking or stand-up paddleboarding, but little beats going for a relaxing cruise on a traditional dhow! Our advice is to take a stroll along the sandbar just before sunset and marvel at the multitude of different sea birds that rise from the sand like a cloud as you approach or patrol the shallows on the lookout for a meal - after that retreat to the bar for a delicious cocktail of the day served up by your friendly barman! Gazing out to sea you might even be lucky enough to spot some of the humpback whales that migrate through these waters every year from around August through November. Medjumbe have also added a couple of unusual options that will appeal to many adventurous guests. A favourite is to enjoy a private picnic on the deserted island of Quissanga reached via a short boat ride from Medjumbe - here a single couple get to enjoy the island exclusively with a sumptuous spread including ice-cold drinks being served by your personal waiter between you taking dips in the invitingly warm waters. 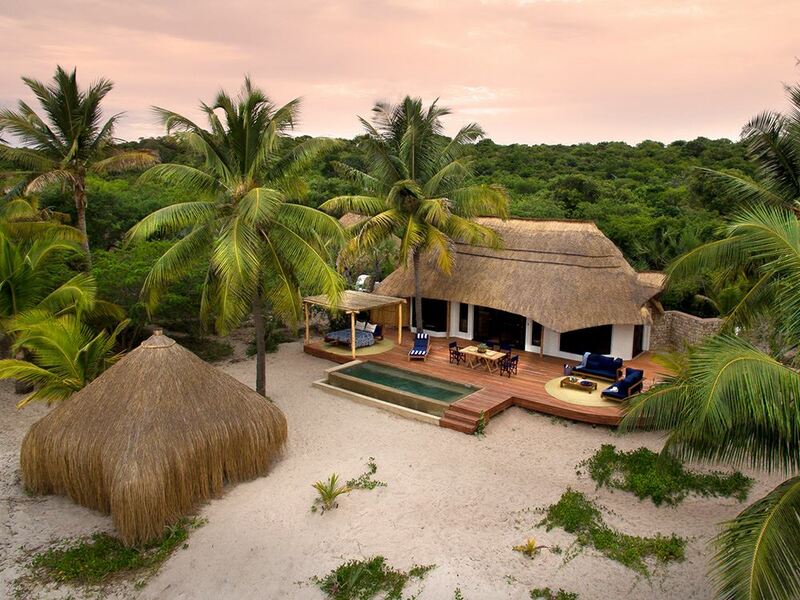 Even better, Medjumbe now offers a sleep-out experience on the same island (at extra cost) where one lucky (and adventurous) couple are dropped off to spend an unforgettable night under the stars on Quissanga island! Whether you choose to spend your days just chilling or busily enjoying the many water-based activities on offer, you’ll no doubt find yourself congregating at the bar to enjoy a well earned sundowner before dinner (Medjumbe is All Inclusive so you don’t have to worry about an eye-watering bar bill on departure either which is a big plus!) The restaurant has an inside and outside deck with verandah, swimming pool and sea-facing bar with magnificent views of the breathtaking surroundings. The food here is pretty special too, attracting consistently excellent feedback from guests. You’ll also enjoy being served by some of the most friendly, gentle and smiling people – it all adds up to an unforgettable holiday in one of the most beautiful and unspoiled spots on the planet!